In memoriam: "Humanitarian to a Nation" originally appeared online and in print as the cover story of our November/December 2004 issue. We have reposted it in honor of the life and work of Abdul Sattar Edhi, who left this life on July 8. He was 88 years old. 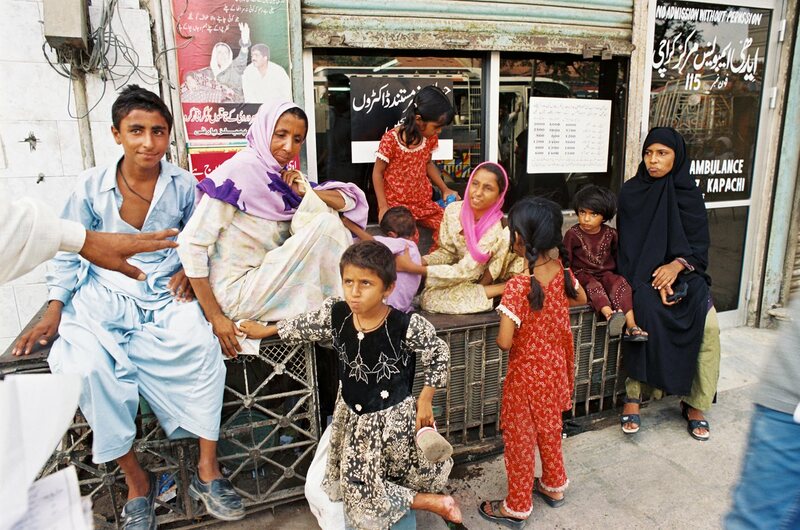 A woman abandoned by her husband waits with her children outside an Edhi center. She will ask the foundation's help in securing alimony. 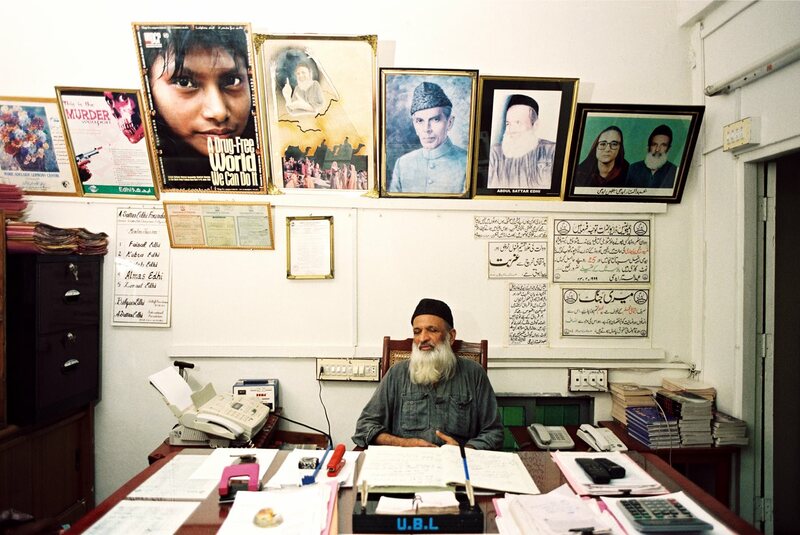 Abdul Sattar Edhi sits at his desk in the Mithadar district of Karachi. His office is the same building where, in 1951, he opened his first free pharmacy, and he remains personally on call: "I am always available to all," he said. 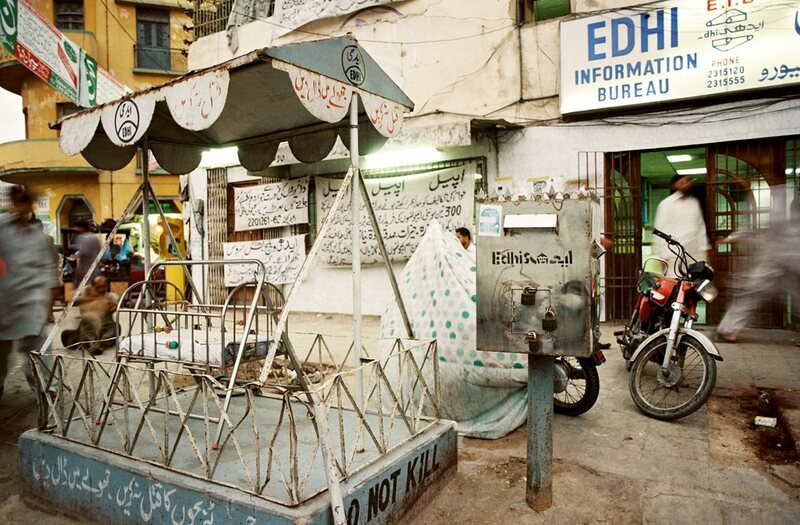 The Edhi Information Bureau is one of several Edhi centers in Karachi is one of some 300 throughout Pakistan. From here the Edhi ambulance service is coordinated, and there is a free kitchen, a missing-­persons bureau and a collection center for donations of cash and bed­ding. Like all Edhi centers. it has outside its door a shaded cradle near which is a sign that reads, “Do not kill." Generally, however, donors come in person to one of the 300 centers and clinics across Pakistan. One, who declined to give his name, explained that he gives money regularly to the Edhi Foundation because an Edhi ambulance once rescued his sister from an automobile accident. (The cost of an ambulance call—one of the few services for which the foundation charges—is less than 50 rupees, or around 85 us cents.) “When I give this 1400 rupees to Edhi, I know it goes to people who need it,” says the donor. Some donors have been very generous. One family donated two villas in the wealthy Karachi suburb of Clifton for use as a residence and school for around 250 girls. A Pakistani expatriate in the UK donated office buildings worth £1.4 million ($2.5 million) that became the British headquarters of the foundation, which organizes local charity services both for expatriates and in support of the foundation’s work in Pakistan. In addition to money and property, contributors donate clothes, appliances, furniture—even goat and chicken meat, sometimes by the ton. The organization uses a portion of these gifts to feed and clothe residents of the homes; the rest is given away to other hospitals, prisons and disaster victims. For this, Edhi may well be the most widely admired man in Pakistan. In 1986 he received the Ramón Magsaysay Award for Public Service, sometimes referred to as “the Asian Nobel Prize.” In 2000, he was awarded the International Balzan Prize for Humanity, Peace and Brotherhood. In 2002, he joined former us President Bill Clinton, Nobel Prize winner Elie Wiesel and others as an honorary board member of the newly founded Daniel Pearl Foundation, created in honor of the murdered Wall Street Journal correspondent. Typically, Edhi pays his own way to receive awards and participate in conferences. What Edhi is doing is nothing short of a miracle,” explains Z. A. Nizami, former director-general of the Karachi Development Authority. 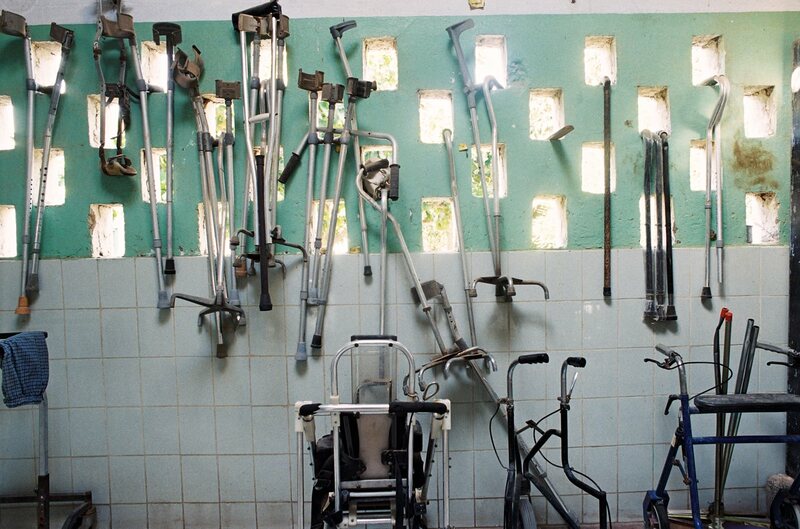 Orthopedic equipment hangs on a wall in the handicapped children's ward at Edhi Village. Hemmed in by a labyrinth of fabric shops, food markets and dusty, cart-filled lanes, Edhi’s three-story Mithadar center is a hive of activity. In the crowded front offices, men and women sit behind donated desks taking ambulance calls, ordering medicines and checking the accounts of clinics and centers across the country. In one room, three women are filling out adoption papers. 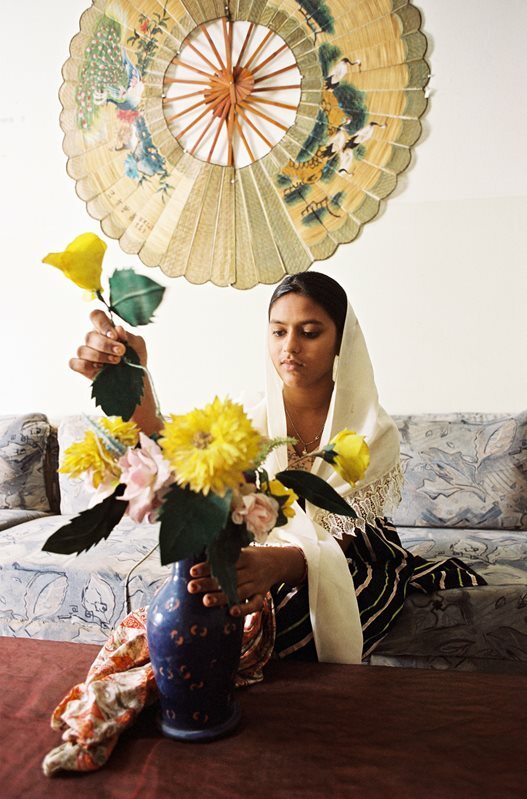 Bilquis Edhi, who oversees adoptions, has placed more than 16,000 children in adopted homes. Outside every Edhi center there is a cradle—shaded from the sun—where unwanted babies can be left anonymously. 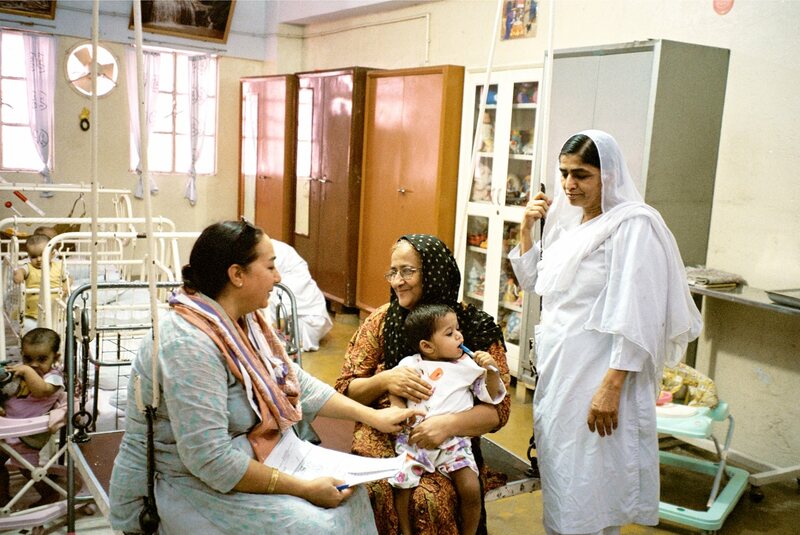 Bilquis Edhi, center, has overseen the Edhi Foundation's more than 16,000 adoptions as well as the development of hospitals and vocational services for women and a home for girls. 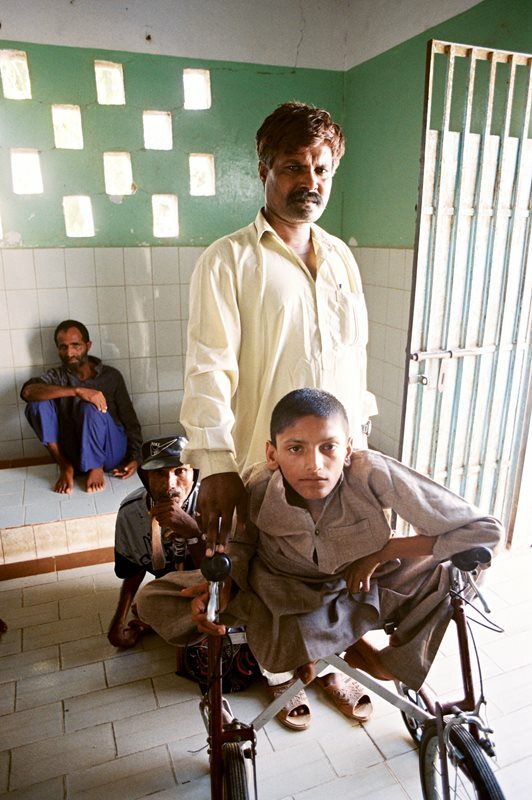 A handicapped child with an attendant at Edhi Village. A teacher checks the class work of boys at the Edhi Child Home. Requirements that older students help younger ones help integrate Edhi's philosophy of self-reliance into the curriculum. Born in 1928 in Bantva, a small Indian town of 25,000 inhabitants in Gujarat state, he was “not what I would call an obedient child,” he admits with a grin. A natural leader, when he was not prodding other kids to join him in stealing corn and fruit from wealthy farmers, he was organizing impromptu circuses and performing gymnastic feats for the neighbors. Although his father brokered textiles and other goods and provided the family with a middle-class income, both of Edhi’s parents instilled in him the importance of simplicity and frugal living. Anwer Kazmi, Edhi's right-hand man, warmly encourages a song and dance that a child offers him during rounds of the mental patients' wards at Edhi Village. 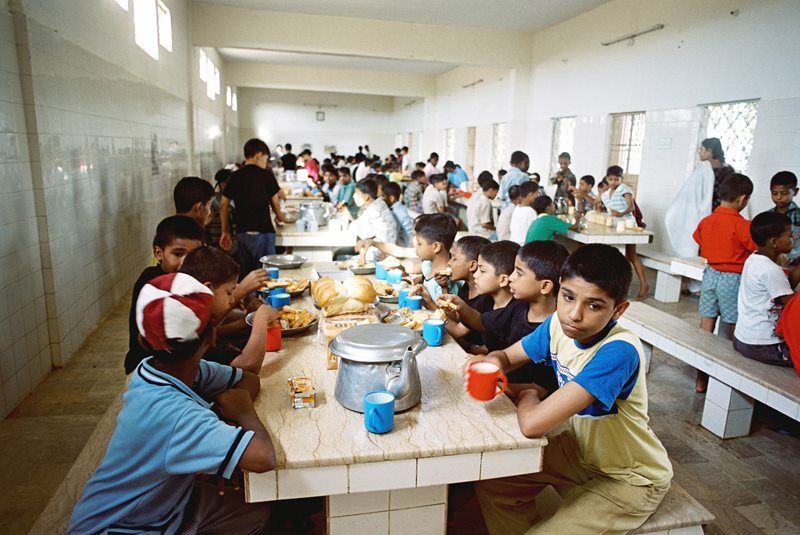 Breakfast at the Edhi Child Home is well-organ­ized; the boys rotate the responsibilities of cooking, serving and cleaning. In 1993, during devastating floods in the Punjab, Edhi ambulances rescued 50,000 people. Using donated planes, volunteers also dropped food, water and supplies to isolated families. Edhi’s air ambulance service now numbers three planes and a helicopter, all donated by the US Agency for International Development—“without conditions,” Edhi is quick to point out. Left to right: Answer Kazmi affirms, "These are people who need care. As long as I have space, I'll take them on.” Belal volunteers in logistics at the Bilquis Edhi Hospital, the Edhi Village and the information center. A pharmacist at the dispensary at the Edhi Child Home near Sohrab Ghot. 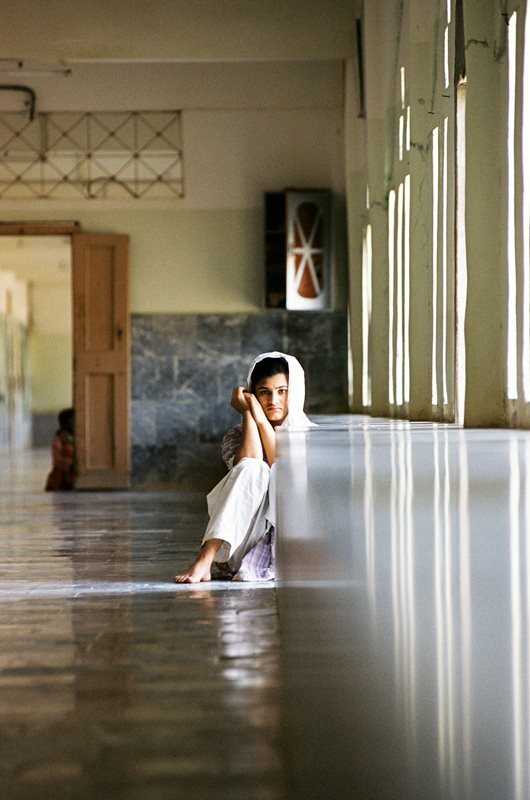 The Edhi Female Child Home in the affluent Clifton district of Karachi is run like other well-equipped, modern schools. Dormitories for the children use furnishings and decor chosen by Bilquis Edhi. Despite this open-door policy, growing up the children of such a father was not easy. Although Edhi’s children were raised largely by Bilquis’s mother in a house near the dispensary, they were exposed to pain and misery from an early age. At seven, Faisal recalls accompanying his father to recover the corpse of a murder victim. Edhi brought the body back to Mithadar, washed it and gave it a respectful burial. “I got very sick and couldn’t sleep for a week,” Faisal recalls. By the time he was 10, however, Faisal had grown accustomed to riding with his father on ambulance calls to bring the dead and injured to morgues and hospitals. Now, Faisal is in charge of the ambulance service, whose costs he is trying to cut to make it self-sustaining. He’s also creating a new dispensary and ambulance center for some 50,000 people uprooted from their Karachi homes by a highway project and forcibly moved to a treeless settlement west of the city where there is no running water, sewage or electricity. 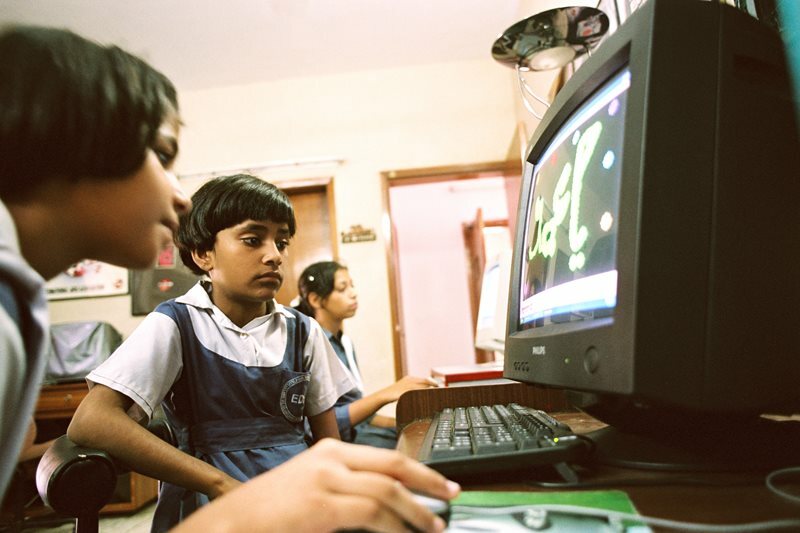 Girls work through a program in a multi­media class at the Clifton home. “This is very difficult work, because of fundamentalism,” Edhi interjects. “Our society does not want to give any facilities to females. When political opponents criticize us, we never fight them—we ignore them. A schizophrenic patient chooses the shade of a corridor of the North Karachi Center. Early the next morning, Edhi sets out with Faisal and Kazmi to conduct a surprise inspection of Edhi Village, a home for runaway and abandoned boys with a separate asylum for mentally ill and physically handicapped men. Halfway into the 45-minute drive south of Karachi, Edhi stops the ambulance at a one-room cinder block building with a red roof, one of 35 emergency first-aid outposts he’s created along the 1100- kilometer (700-mi) highway from Karachi to Peshawar. 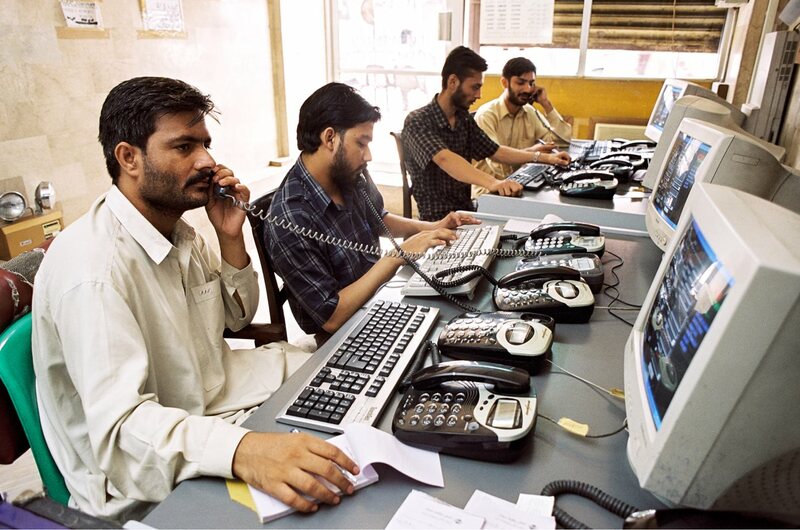 Edhi emergency dispatchers operate around the clock. From any phone in Pakistan, dialing 154 connects a caller with the Edhi ambulance service. The Edhi morgue near Sohrab Ghot in Karachi is the largest in the city of 10 million people and one of the largest in Asia. The collection of unidentified bodies has long been a major role of the 600-vehicle Edhi ambulance fleet. At all Edhi morgues, each body receives the ritual washing and shrouding required by Islamic practice. 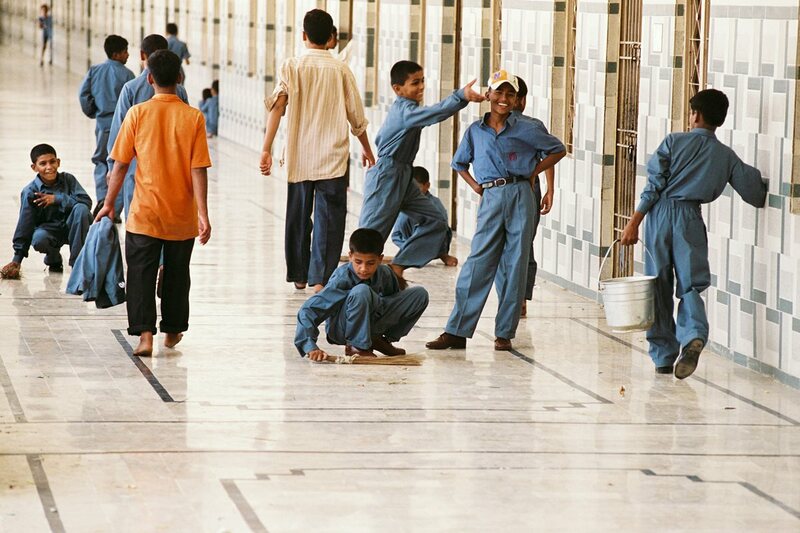 At the Edhi Child Home on the outskirts of Karachi, boys wash the assembly-hall floor as part of morning chores. The 26-hectare (65-acre) campus is home to more than 250 boys; it is part of the Edhi Village complex that also houses some 1500 patients with mental illnesses. In the walled sanatorium for the mentally handicapped, physically disabled and mentally ill next door, the scene is more sobering. 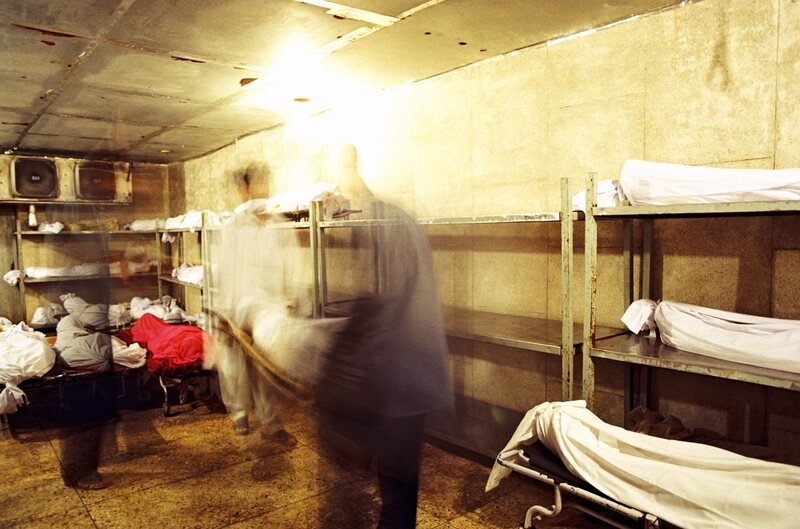 Several hundred residents lie on scattered mattresses or sit on the cement floor in one bare, cavernous ward. Elsewhere, groups of men mill about outside under straggly bougainvillea trees. Despite the spartan facilities, “the patients live under far better conditions than in other mental hospitals in Pakistan,” maintains Ghulam Mustafa, the senior doctor of a staff of five doctors and eight nurses on rotation. Children line up for lunch in the Edhi Village. “Many of our patients can be cured,” Ayaz explains, “but their relatives reject them, leaving them here to languish unnecessarily in long-term care. A woman is treated in the North Karachi Center. 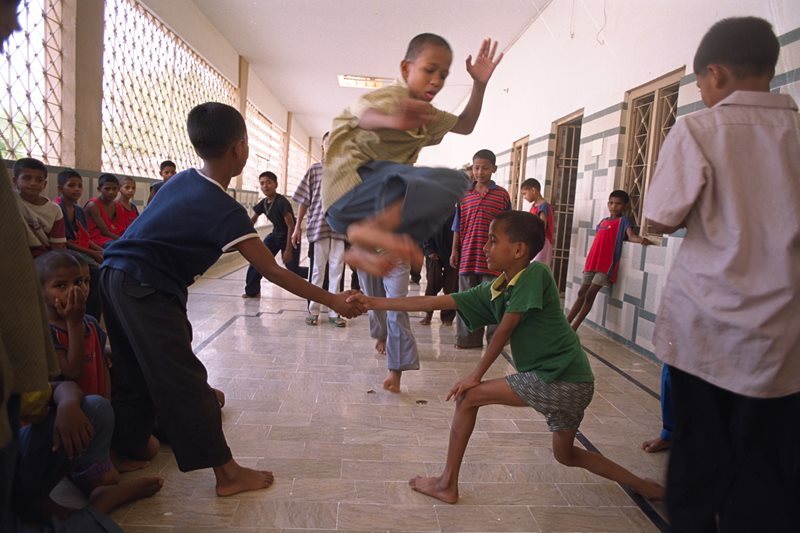 Children play in the Edhi Village. “That’s the humanitarian revolution we need,” he continues with a weary smile. “But still so few understand. Let’s spread the word." In addition to contributing regularly to AramcoWorld, Paris-based Richard Covington has written about culture, history and science for numerous publications.